The travel logistics are getting a little trickier as the journey moves south. 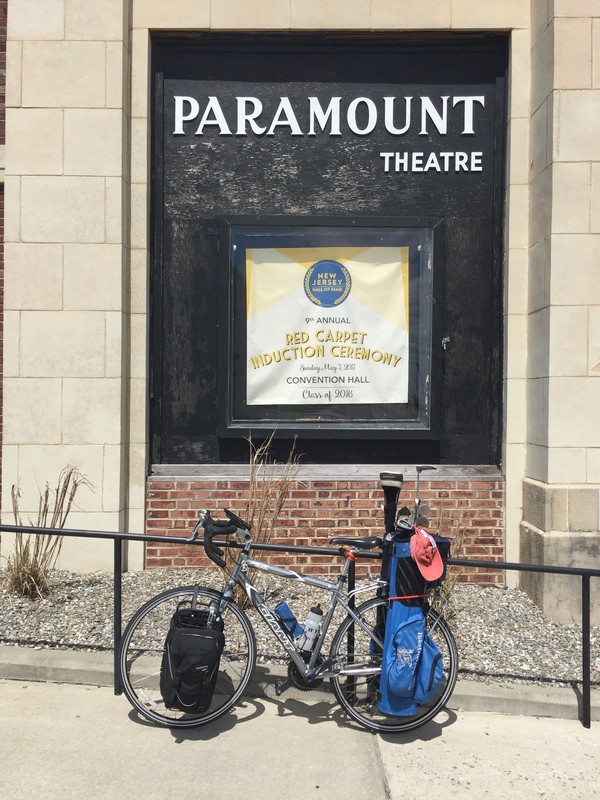 We start this leg in a rental SUV , drive the bike and GBB from Duxbury to Manhattan, drop off the rental and then get down to business for the pedal down to Va. Beach .At journey’s end, we will ship the bike and GBB back and catch a flight home. Everything went off without a hitch. We arrived in NYC late afternoon , dropped off the rental, checked into the hotel and headed down to Rossini’s Northern Italian Restaurant at the corner of Park and 38 th St to enjoy a nice meal with Ray and his crew. 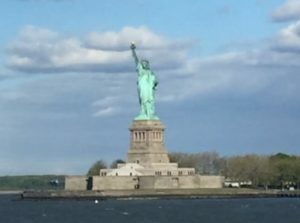 After a good night’s rest at the Jolly Madison in Murray Hill , bike and rider were up early to work south through the busy early morning streets of NYC down to Wall St and the NY Waterway Ferry . 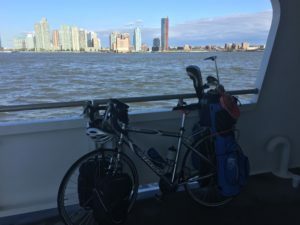 We watched the 300 +/- commuters depart the 7:30 a.m. ferry arriving from NJ… there was no conversation, nor eye contact just brief cases in hand, heads down, shoulders slumped as they marched off for another day of the grind. Depressing site. It made us feel guilty as we were headed off for a week of freedom, fresh air, new sights and golf. It was a beautiful ride down NY Harbor to Belford NJ and the start of a week’s pedaling along the NJ, Delaware, Maryland and Virginia shore lines. From Belford we worked our way south along Ocean Blvd with the final destination Pt Pleasant NJ. Rolling through the pristine little hamlet of Rumson we stopped to poke our heads into Mary Van Der Wilden’s ladies shop Le Papillon. Mary has been a Leon Levin customer for many years and runs a beautiful high end boutique. She was fully stocked for upcoming summer season. It was nice that our brand Leon Levin prominently positioned in the front of the store. It is a tough world out there for small independent retailers competing against the department stores, discounters and the internet, but the smart ones like Mary Louise build a strong following, keep up with the trends and constantly update their stock. Nicely done Mary. As always your shop looks great ! Asbury Park….with blue tooth speaker blaring “ Pink Cadillac” at max volume we rolled into Asbury Park to see where the “ Boss “ got his start. 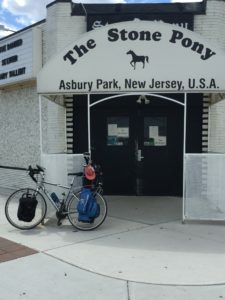 The Stone Pony is a small nondescript bar which was the a launch pad for many American music legends, including New Jersey natives Bruce Springsteen, Patti Scialfa, Jon Bon Jovi, and Southside Johnny and the Asbury Jukes. Prior to becoming a music venue, the building housed a restaurant named Mrs. Jay’s, next to which was Mrs. Jay’s Beer Garden that was frequented by a polyglot community of tourists, high school and college students and bikers. During the mid1960s, Mrs. Jay’s management began to allow bands to perform but went out of business in 1968, allegedly over a waitress wearing a see-through blouse. Mrs. Jay’s moved two doors south and reopened a short time later. The second incarnation of Mrs. Jays became a notorious biker hangout late ’80s with Harley-Davidsons lined entire blocks after cruising the circuit. 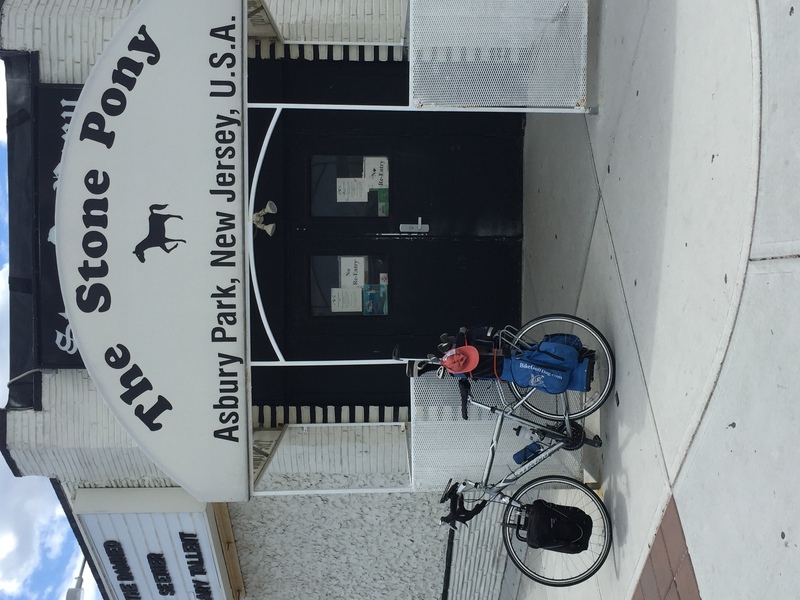 The Stone Pony reopened in 1973 and many of the world’s most popular musical artists played on its stage. 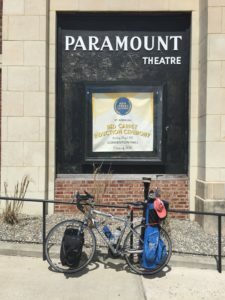 The next stop was the Paramount Theater which sits at the northern end of the boardwalk adjacent to the convention center. This 100 year old structure remains a world class performance center with acoustics second to none. Top artists to this day love their gigs at the Paramont. We narrowly missed an impromptu performance by the boss last week when he surprised former Z Street Band members while they were doing a show at the Paramount and joined then for a rousing rendition of “Lucille “. The day continues with a leisurely ride down Ocean Ave directly on the Jersey shore as we head to the days final destination Pt Pleasant NJ. Flat coastal rode, scenic, mostly sunny , low traffic and a wide shoulder…it doesn’t get any better..